Almost half of all the people in Europe believe that in ten years there will be more electric cars then vehicles with combustion engines. 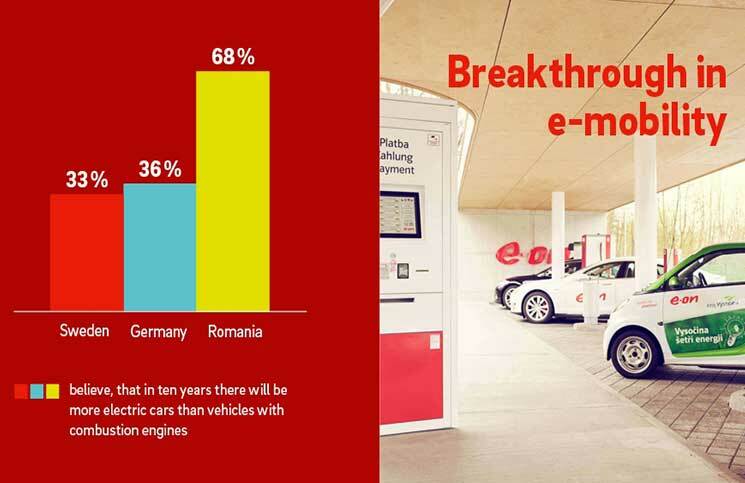 This was revealed in a survey carried out by E.ON in eight European countries. Anyone assuming the Germans would be particularly optimistic, however, would be wrong. 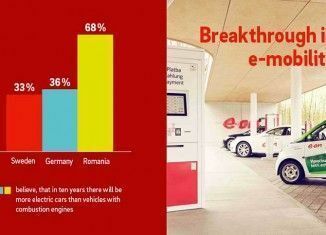 In fact it is the Romanians who proved to be the most confident, with 68 percent believing that electric cars will ultimately triumph over the next ten years. In Germany the figure was just 36 percent. In other cases too, opinions among Europeans appear to differ on what will be the reality of the next ten years. Hence 43 percent of Germans are convinced that more than half of the energy produced in 2027 will be renewable. A similarly positive view is shared by the Turks (39 percent), the Swedes (35 percent) and the British (31 percent). 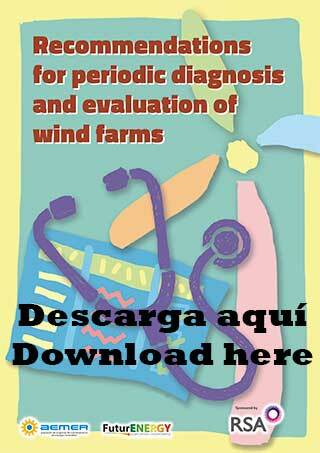 In the Czech Republic however, the figure was only 18 percent, and in Hungary just 17 percent. These results are part of the ‘Living in Europe’ survey for which E.ON and Kantar EMNID questioned around 8,000 people in Germany, the UK, Italy, the Czech Republic, Romania, Sweden, Turkey and Hungary in December 2016.